If you liked my other moneky brains recipe, then you should really try this one too. 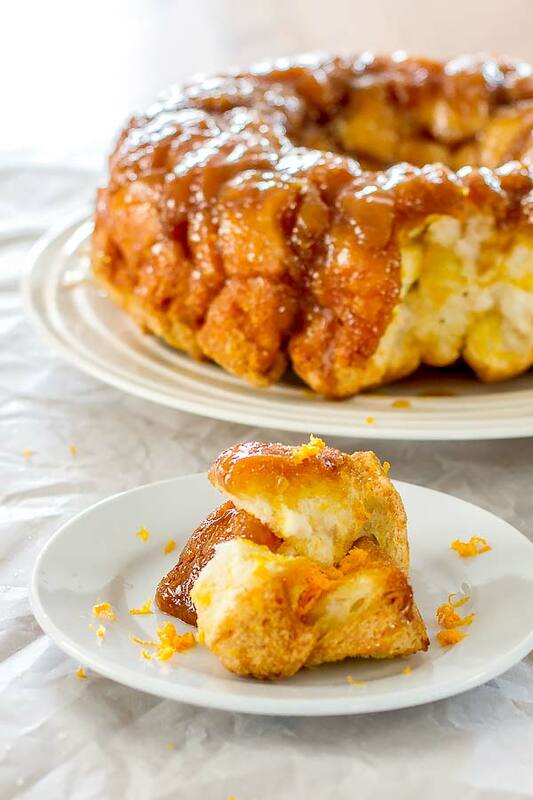 It is one of my wife’s favorite things but I cannot eat more than a couple of pieces without going into sugar frenzy, but it is good, I mean really good and this variation is made with orange juice instead of cinnamon. You might think it is a bit too much and too difficult to make but it is not and you can grab a bite whenever you feel the need for something sweet, heck if you can eat the whole thing in one shot you are my champion. Well, nothing else to share today, give my recipe a shot and let me know what you think. Open all the cans of biscuits and each biscuit into quarters. 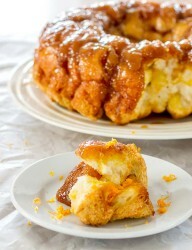 Fill a large Ziploc bag with the white sugar, the orange zest, and the dash of salt. Seal the bag and shake it until the zest and the sugar are totally combined. Add the biscuit pieces to the bag, seal it and shake it around until all the biscuit pieces are coated in the orange sugar. Don't give up, keep shaking until each piece is nicely coated. Pour the pieces into a bundt pan and set it aside. In a medium pan over medium heat, melt the butter then stir in the brown sugar and orange juice until just barely combined. Pour the mixture all over the biscuit pieces. Bake for 40 minutes, or until the top of the biscuits are golden brown. Then remove the pan from the oven and set it on a rack. Let the pan sit for at least 10 minutes, then turn the cake out of the pan onto a cake plate.